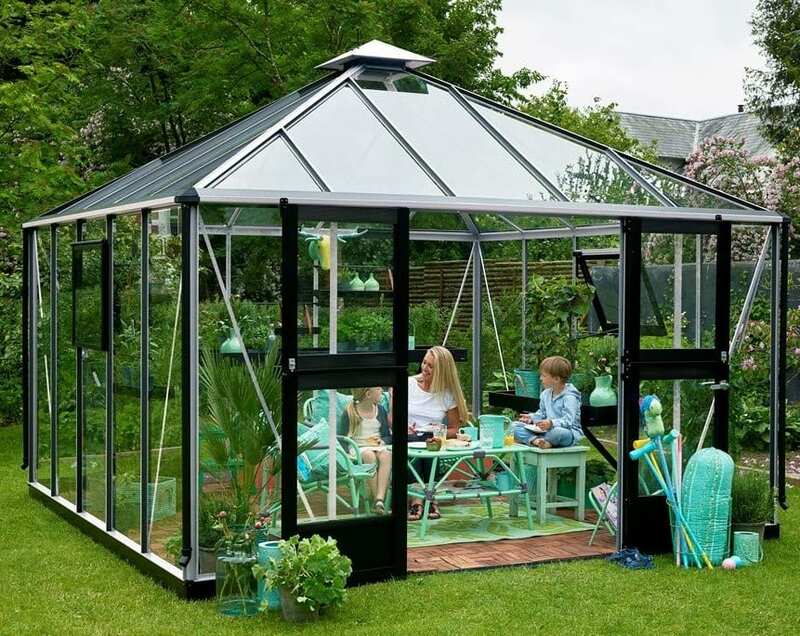 Originally designed to withstand harsh Scandinavian winters it is built to be affordable without sacrificing durability, each Juliana Oasis Greenhouse features an aluminum frame,10 mm twin wall polycarbonate panels, and gutters with end caps. The Juliana Oasis is for those seeking a unique high ceiling garden room. The Juliana Oasis is the perfect choice for gardeners that like to entertain as well as grow. Perfect ventilation is achieved with the stable doors, side vents and the ingenious roof cupola vent. The high eaves make for a spacious airy feel and provides ample space for a table and chairs as well as your vegetables and herbs.